I forgot the combination to my safe about a week after I had bought it. To be fair, it was a rather stressful time, and I was not as security-minded as I am now, so don’t silently judge me, oh faithful reader. Safes are important security tools that have many unique uses, and they give their users an all around enhanced sense of security. However, there are very few things more infuriating than having your belongings securely stowed away, only to hear yourself say “I forgot my safe combination”. Like I said, I’ve been there and it’s hard to get through on your own. Luckily enough for you, I will help you figure out what to do after you forgot a safe combination and you happen to be locked out of your safe. 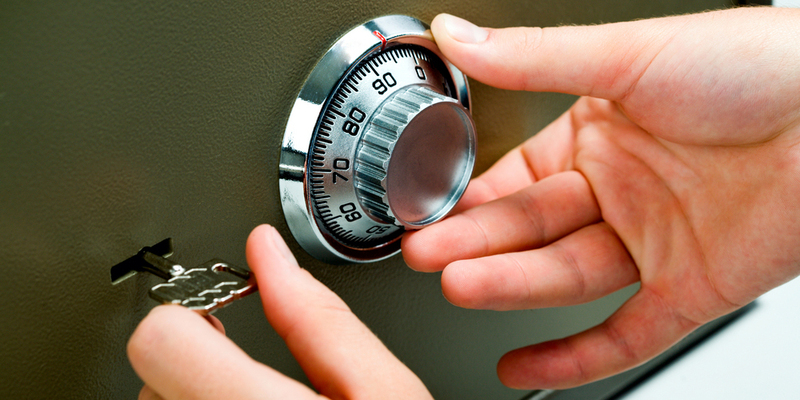 The first step that you need to take is to identify the type of safe that you have. It goes without saying that it is a safe that uses some type of combination to permit entry, but this does not mean that you have narrowed down which type of safe it is. Due to the fact that there is a wide spectrum of items that people want to keep safe, there are different types of security safes to protect your valuables. These range from electronic safes to gun safes, and they can store anything from jewelry to the symbol of your second amendment rights (I’m talking about guns). It might sound redundant to tell you to try and figure out what safe you have, but if you forgot your safe combination, doing so will help. Properly identifying your safe means that you will be able to use the appropriate measures to reset your code, recover it, or unlock your safe. The last thing you want to do is panic and use a wrong access method for your safe. That ends up damaging the safe and all of its internal components. If you think this could never happen to you, you should probably talk to someone who has been in a lockout scenario before. Imagine calling emergency services for help and not being able to provide them with any pertinent information. How exactly will they be able to help you? The same idea applies to your safe. In order to get help, you have to request help for a specific safe. This holds true regardless of whether you contact the manufacturer or the locksmith. You will have to provide some basic information about the safe in order for them to know which course of action they should take. The information that comes in handy in these situations can either be a serial number or purchase information. The serial number can either be found on the side of the safe (as is the case for most Sentry safes) or it can be found on the back panel of the safe. For security purposes, not all safes have their serial numbers inscribed or plastered on the body of the safe. So don’t fret if you cannot find your serial number, simply use information from the purchase order to find out the brand and type of safe you have. Now let’s continue with what you have to do after you say “I forgot my safe combination”. After you have taken stock of the type of safe that you have, you should check whether or not the safe has a key override that can be used for situations like these. Key overrides come in handy because they allow you to gain access to your safe through the use of an alternative method. This works well for emergency situations or situations where you might have to give a secondary party access to your safe. It helps to think of them as spare keys, except they’re for your safe and not your house. The key override is also extremely useful for instances where you have forgotten the combination to your safe. It is possible that you did not even know that the safe had a key override. Lots of people neglect to read the user manual when they buy something, so it is not unheard of. Also, not all safes advertise the fact that they have an override key. This is often done to ensure that people do not have easy access to the keyway. If there is an easy access path to the keyway, it increases the chances of someone potentially overriding the safety mechanisms of the safe, either by drilling or picking the lock. You should take the time to read through your owner’s manual and verify whether the safe has a key override or not. Doing so will save you time, and it will help you get back into your safe in an expedient manner. However, if you find yourself saying “I forgot my safe combination”, do not get your hopes up about the mechanical override key. Due to the potential for it to be a liability, not all safe manufacturers utilize one in their safes. If your safe does not have a mechanical key override, there is no need to worry. You will eventually make your way back into your safe. There are many people who have said, “I forgot the combination to my safe,” who have ended up gaining access to their safes once again. In the absence of a mechanical override key, a change key can be used to help you out of your predicament. A change key allows you to change the combination that grants access to your safe. This is extremely useful for when you have forgotten your combination. Do not view the change key as a universal solution because it doesn’t work for all safes. Also, you might be required to input your old combination when you are using a change key, which will be very difficult to accomplish if you forgot safe combination. A perfect example of a safe that allows you to use a change key is the Sargent & Greenleaf 2740 B. If the name ‘Sargent & Greenleaf’ sounds familiar, it’s because they feature prominently on Ralph’s list of best padlocks of all time. For this safe, you can insert the change key in the back of the safe and then you have to input the reset combination. This set of numbers is merely a way of wiping the slate clean for you to set a new code to your safe. If you forgot your safe combination, the use of a change key or a mechanical key override can be quick solutions. However, I am speaking from experience when I say that people rarely have these elements on hand, so you will likely have to resort to calling a locksmith to help you get back into your safe. If you have tried all the methods above and you have not been able to get into your safe, it might be time to reach out to the professionals. A locksmith will be able to help you gain entry into a safe you are locked out of. It is important to walk yourself through the above solutions before you make the decision to call a locksmith. It is possible that you have an override key or a change key. So when you forget the combination to your safe, make sure you run through all the possible scenarios before you reach out to ask for help. Finding the locksmith to open your safe sounds relatively easy, but there is a chance that the entire ordeal can go awry if it is not handled in the right way. 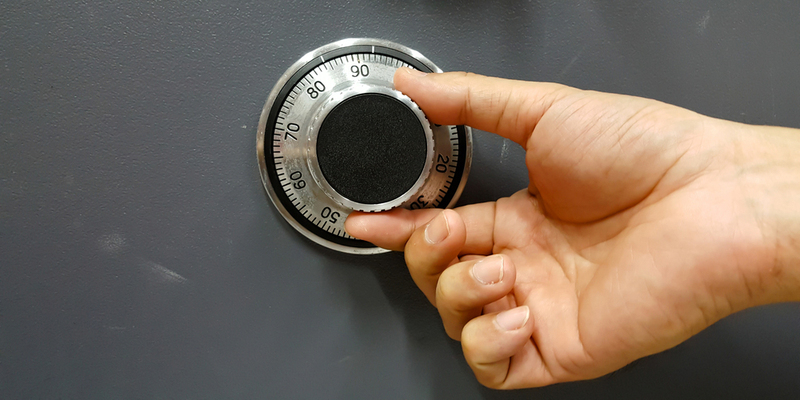 Safes are very intricate devices, and if they are not treated properly, you could potentially damage your security investment and the contents of your safe as well. Ideally, you want to find a locksmith that is familiar with safes, and one that seems knowledgeable about your particular safe. Once you find the right locksmith to help you out with your locked safe, you are one step closer to getting back into your safe (and forgetting that you forgot the combination to your safe). 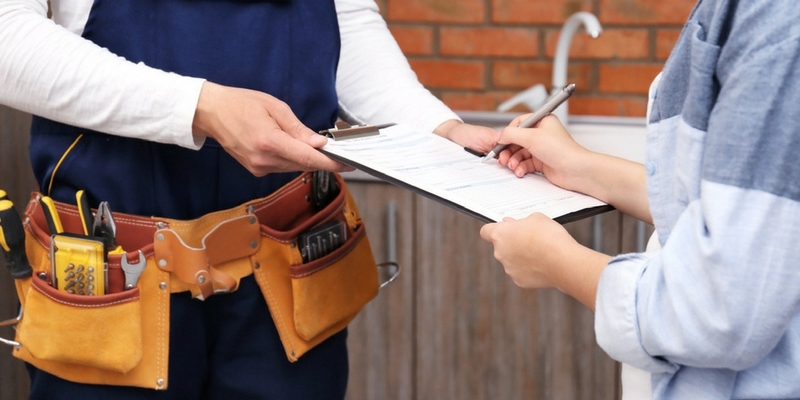 In order for a locksmith to help you in the best way possible, you have to give them enough information about your safe so that they are not walking into the job blind. Ideally, you should provide the locksmith with the brand and model of the safe, because this allows them to familiarize themselves with the safe as well as pick out the necessary tools for the job. Safe Manipulation – The word manipulation usually carries a lot of negative connotations, but in this context, it will be somewhat positive (especially if you forgot the safe combination). Also, when most people think about safe manipulation, they conjure up an image of a debonair spy (a la James Bond) who wears a charming smile and can open any safe in under 2 minutes. Safe manipulation is a lot more intricate and trickier than that. It requires skill and patience that only the best locksmiths possess. It should be noted that safe manipulation works best on those safes that have combination dials. The reason why this is a popular entry method is because it allows a locksmith to gain entry without damaging any of the components. There are some other entry methods that can be taken advantage of, but these run the risk of damaging the internal mechanisms of your safe. In order to properly manipulate a safe, you have to be somewhat knowledgeable in the way the wheel pack and spindle of the safe dial work. Forced Entry – The forced entry is a lot less debonair than safe manipulation, and it is mostly used as a last resort if you have forgotten your safe combination. It is unlikely that the locksmith will have to resort to using a forced entry method on your safe since it is not broken. In most cases where forced entry used, there has been some internal or external damage to the safe, which has rendered it nearly impossible to open by other means. One of the most common forced entry methods is drilling through the safe. Drilling can be done in different ways to achieve different results. For instance, you can opt to choose right through the wheel pack and render the locking mechanism ineffective, or you can drill a hole that allows you to insert a fiber optic cable. Once the cable is inserted, the locksmith will be able to see the way the way the wheels in the wheel pack move in accordance to the dial. This will make it relatively easy for them to align the wheels and open the safe. Although this method helps you gain access to your safe, it also renders your safe vulnerable and insecure. Even if the second drilling method is used, you now have a hole that gives criminals and burglars unfettered access to the internal workings of your safe. I can only hope that by the time you have reached this conclusion, you have figured out the best solution to help you get back into your safe. It can be challenging if you find yourself saying, “I forgot my safe combination,” but if you keep a level head, you will be able to navigate the situation and gain access to your safe once again. Always remember, that forced entry into your safe should always be your last resort, especially if you plan to continue to use the safe.